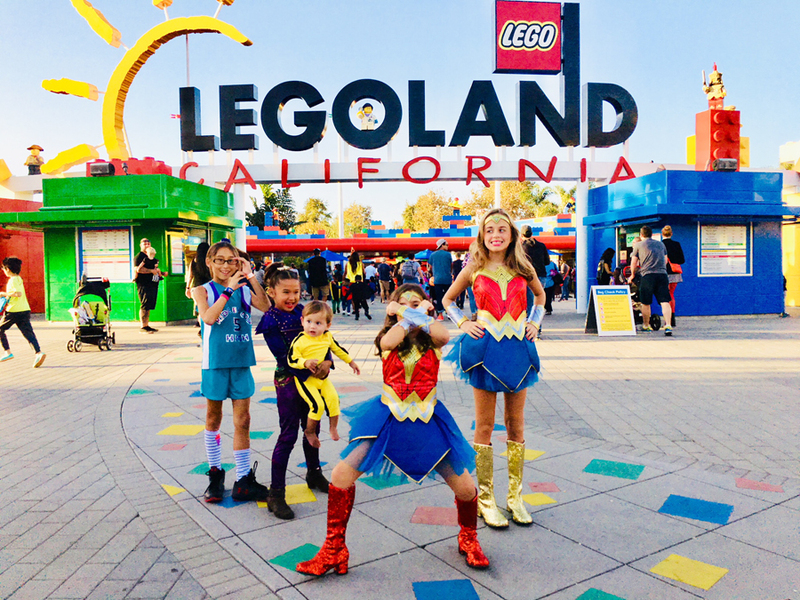 (Legoland Partner) BRICK OR TREAT AT LEGOLAND! There were so many amazing Lego Creations representing Halloween this year. Our most favorite creation was this amazing pumpkin right at the entrance to the park. Isn’t this the cutest? 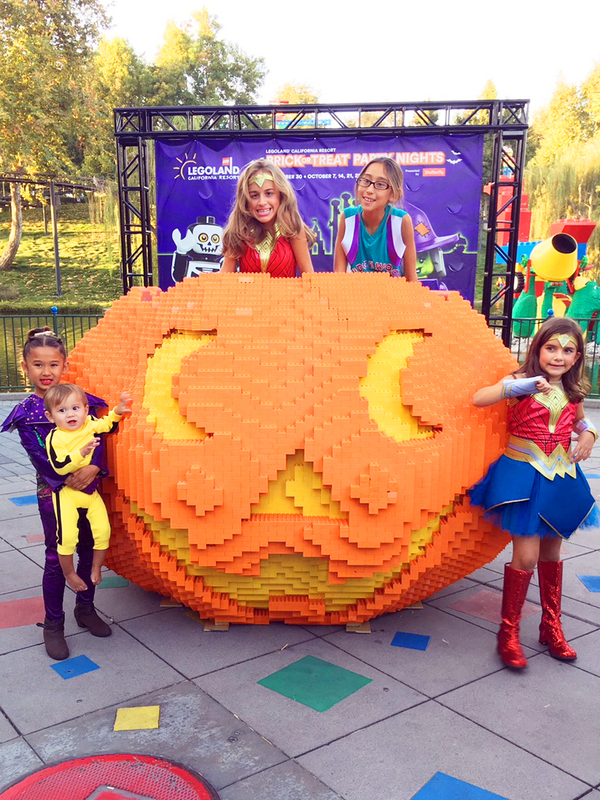 The kids had so much fun posing with this cute Lego Pumpkin. I wonder how long it took to build this masterpiece?? So worth it! Also loving on these cute Legomen all decked out in their Halloween attire. There were soooo many more fun lego sculptures throughout the park! 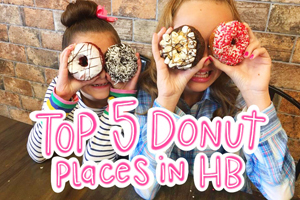 What was your favorite?? You can’t go to far without running into some very talented characters at Legoland. 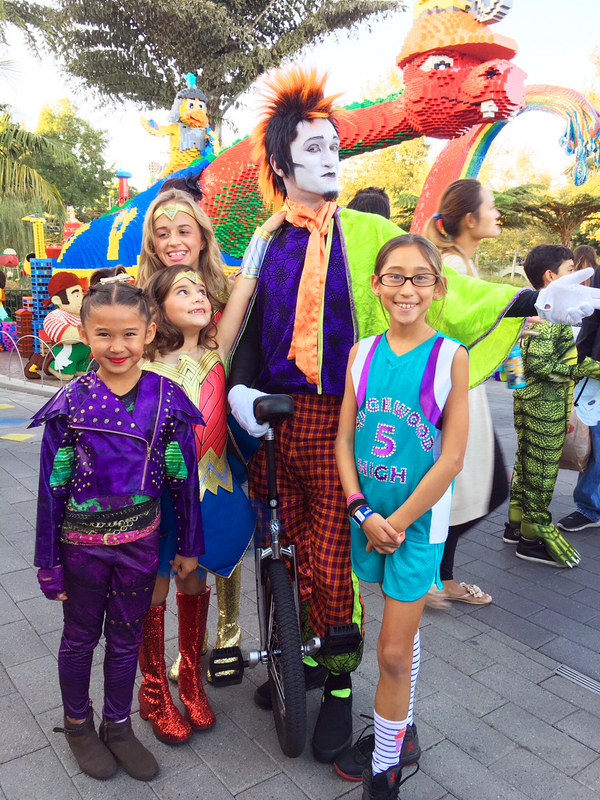 The girls were all eyes for this creepy unicycler… especially sweet Charlotte! 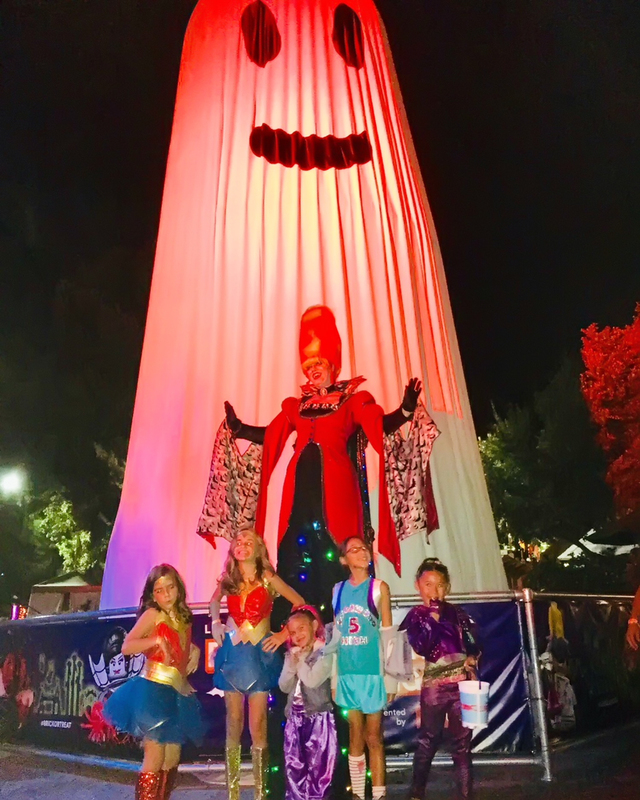 This 12 foot tall selfie loving Mademoiselle was just the best! And that ghost! Definitely setting the mood for a fun Halloween evening. Our favorite character of all though had to be this cute Scarecrow. We had our very own dance party in the center of Heartlake City with him and he even had the great idea to take this cute family portrait for us! Isn’t he adorable??? Throughout the park there were so many fun shows and performances going on! 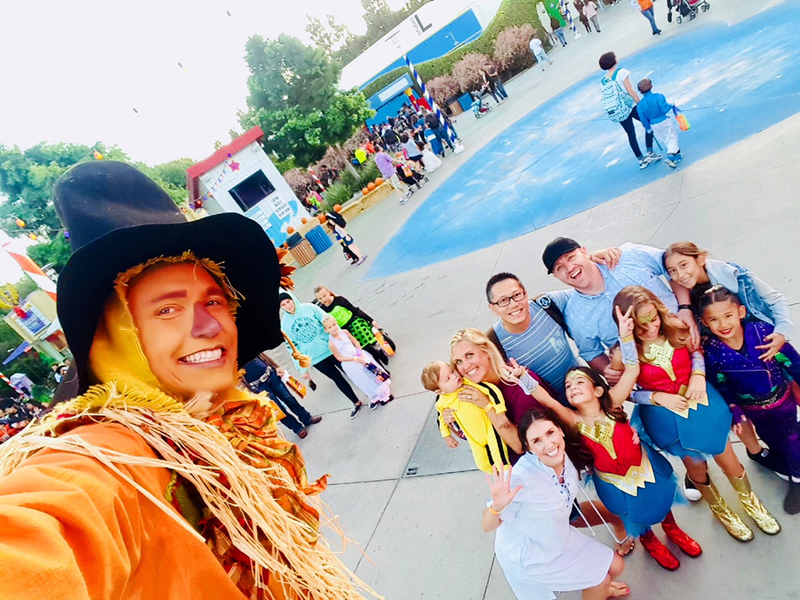 The Heartlake City Fall Festival was so lively. 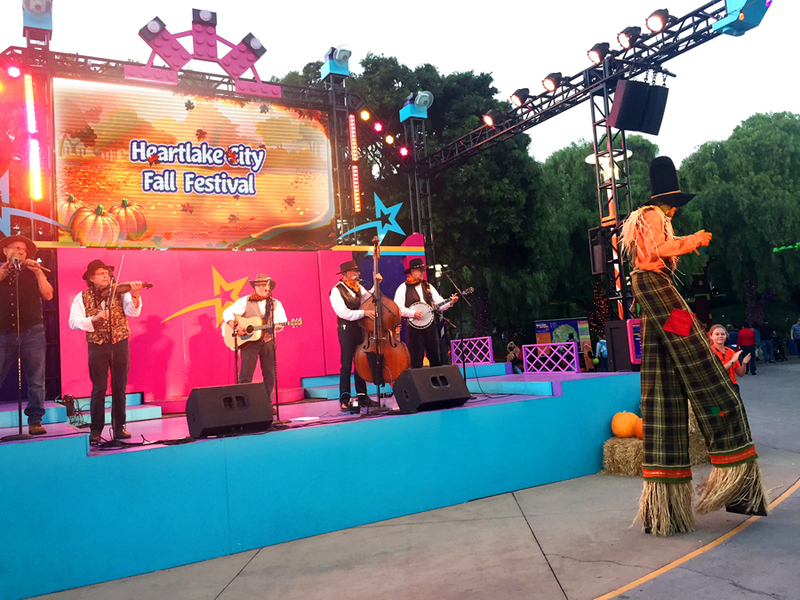 Our favorite Scarecrow led the crowd in a fun hoe down while the most amazing band performed such fun tunes to sing and dance to. 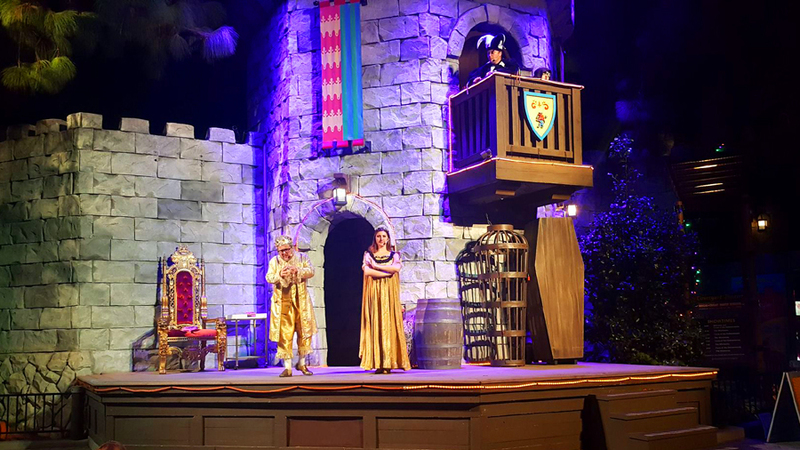 The Legoland castle stage hosted a comedy show the kids loved! The king might have even lost his pants in this show! The kids were rolling in their seats. It was hilarious. BRICK OR TREATING! The highlight of the night of course is not a surprise. Brick or Treating aka Trick or Treating was were it was at. The kids filled their bags with goodies throughout the park. 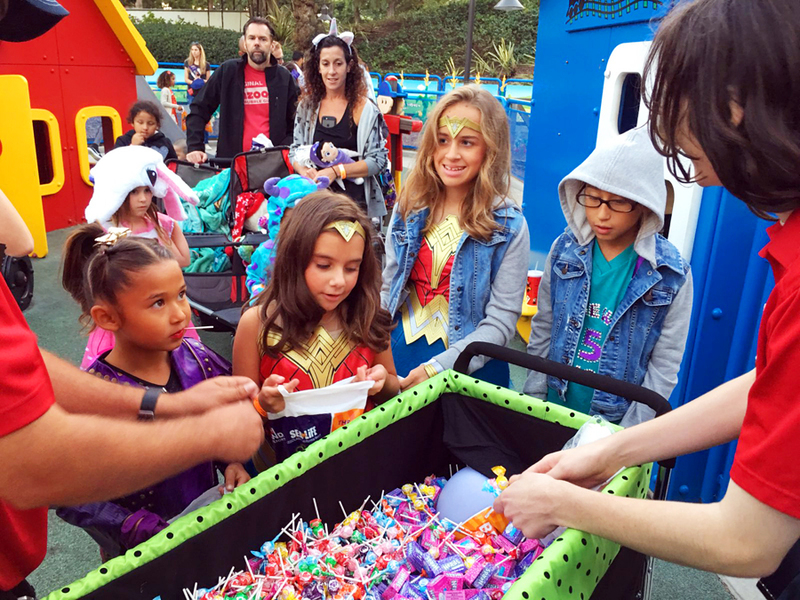 Legoland provided a handy map that laid out all the candy stations throughout the park which made it so fun and easy to Brick or Treat. There was smiles all around whenever we got close to a new candy station. It was a blast! 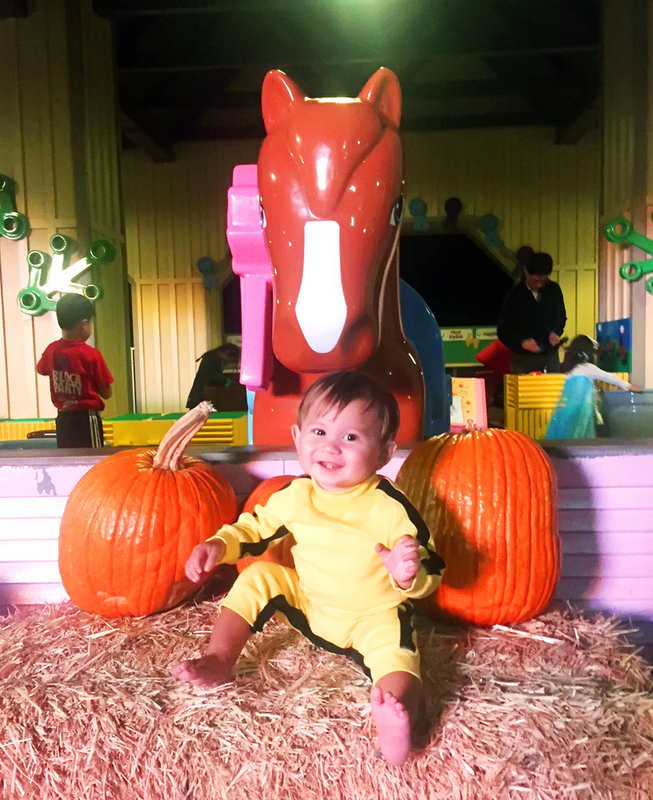 Last but not least we had to share the cutest pumpkin in the patch! Baby Kota aka Bruce Lee chilled in the stroller patiently all night while the big kids enjoyed thrilling roller coasters and trick or treating. He was so excited to hang out in the cutest stables in the country and pose with this sweet award winning Lego Pony. 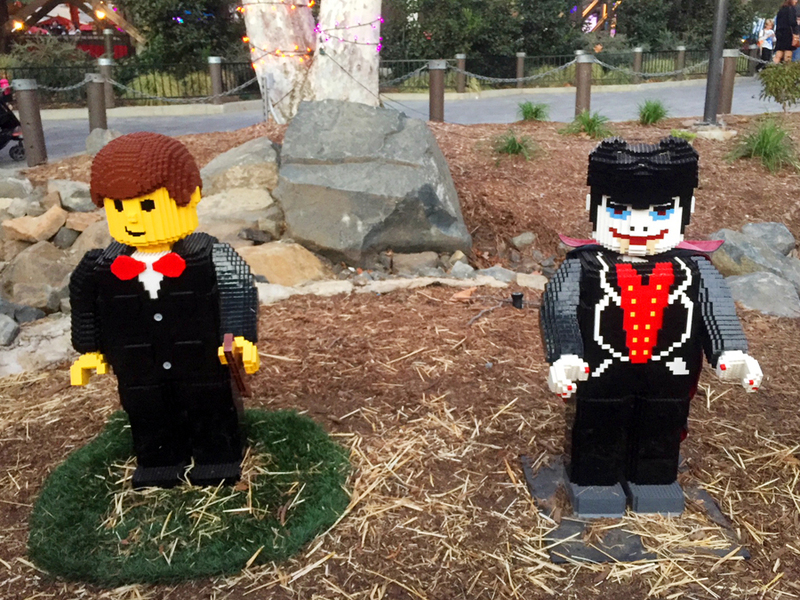 We hope you get to experience all the Halloween bricks and treats Legoland has to offer this Spooky Season! For more information on Brick or Treat head to the Legoland website HERE.